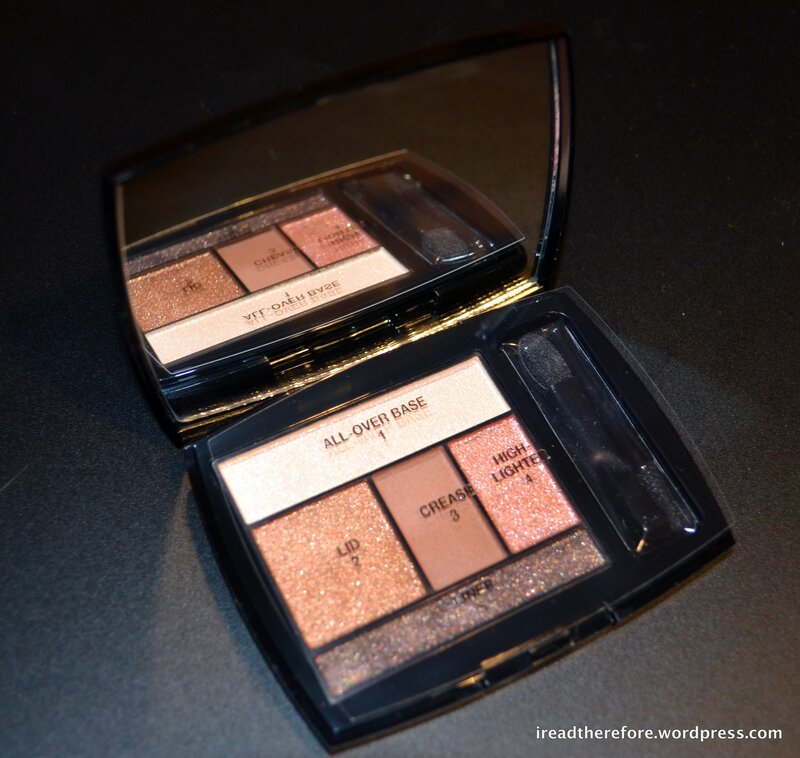 Another gorgeous Lancome Color Design eye palette joins my makeup family. This is Rose Romance from their 2012 Spring collection ‘Roseraie des Delices’ by the amazingly talented NZ-born Aaron De Mey (Lancome’s artistic director). 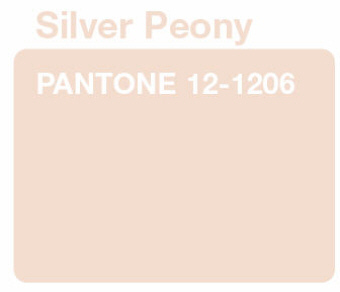 For some unfathomable reason, the new 5-shade Color Design palettes still haven’t come to Australia!! I got this one shipped from the US, however they do have the 4-shade versions in stores right now. As you can see, the packaging for this collection is slightly different from the standard black case with small rose design in the bottom right corner. I do love the original packaging, but this variation is quite nice too. As long as the standard of the packaging is the same, I have no complaints! 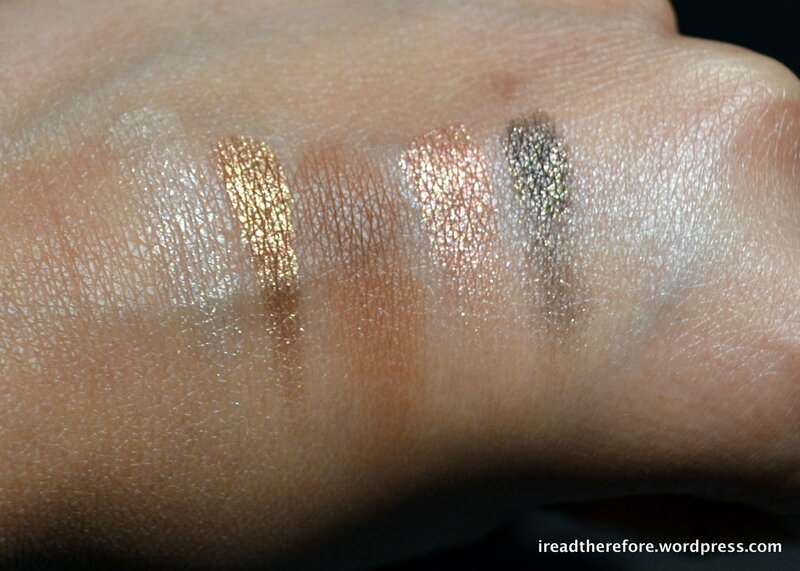 The overall base shade and the highlighter shade look almost exactly the same both in photos and when swatched. The lid shade looks different in the photos but then looks very similar to the other two when swatched. 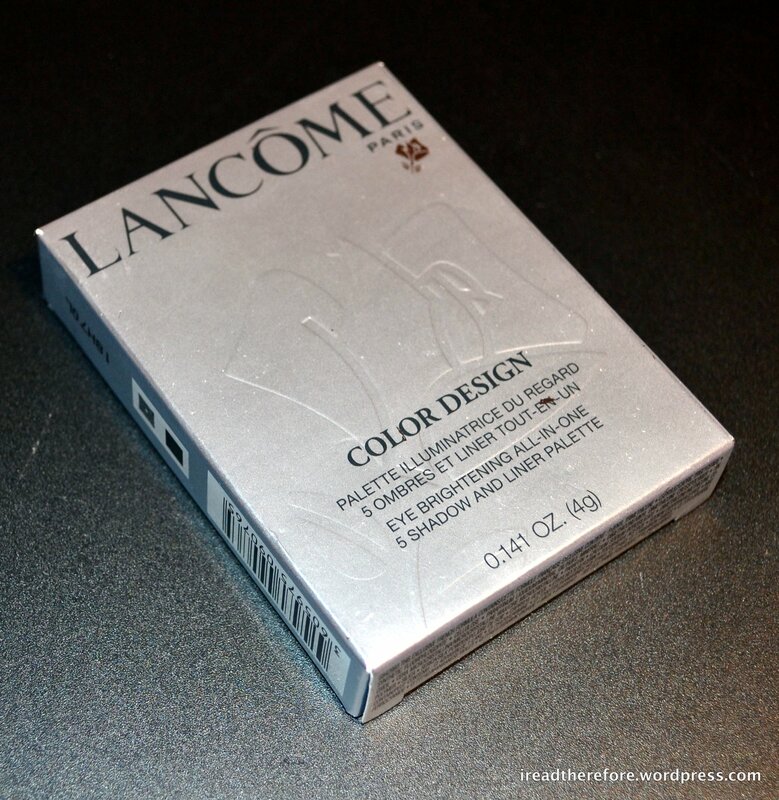 I’m disappointed that Lancome couldn’t have given us a bit more variety for USD 50.00! 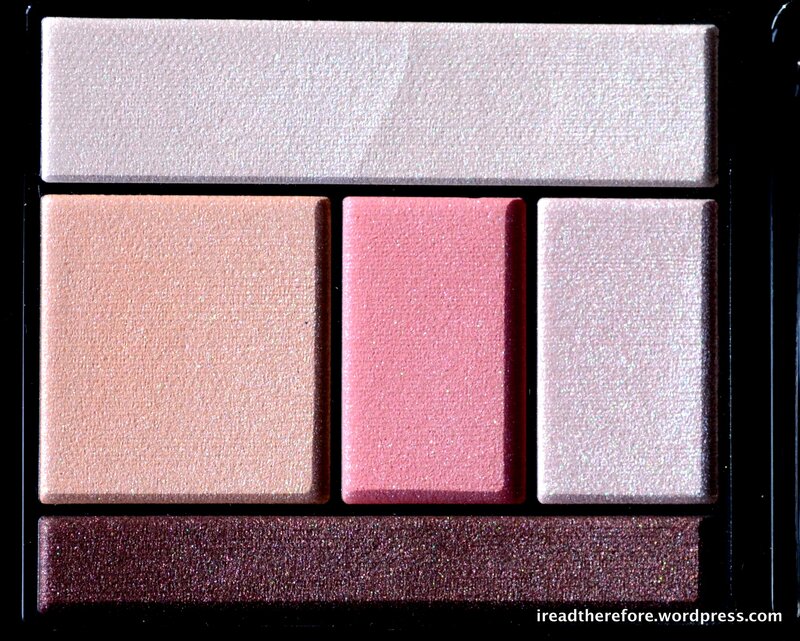 The palette comes with a doe-foot shaped and pencil-shaped foam applicator, which is useful for touch ups on the go. I’d still use proper brushes to apply this though. The shimmer is an overspray which sadly disappears after a few uses. 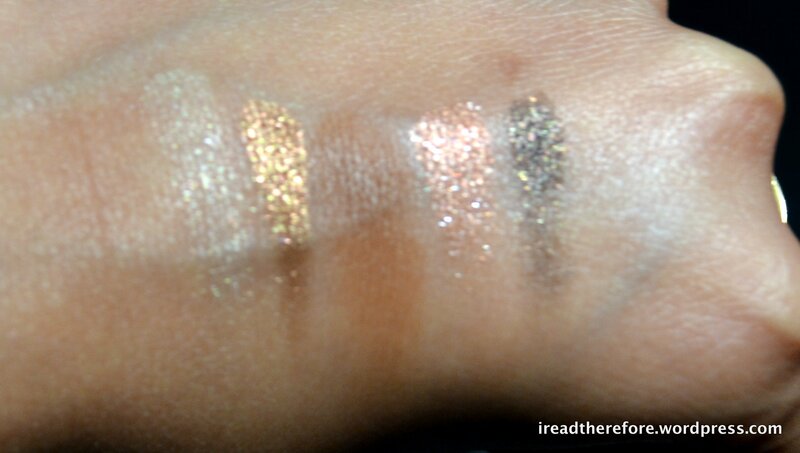 As per usual with Lancome, the shadows are buttery soft and nicely pigmented. I just wish the colours were more robust and varied! 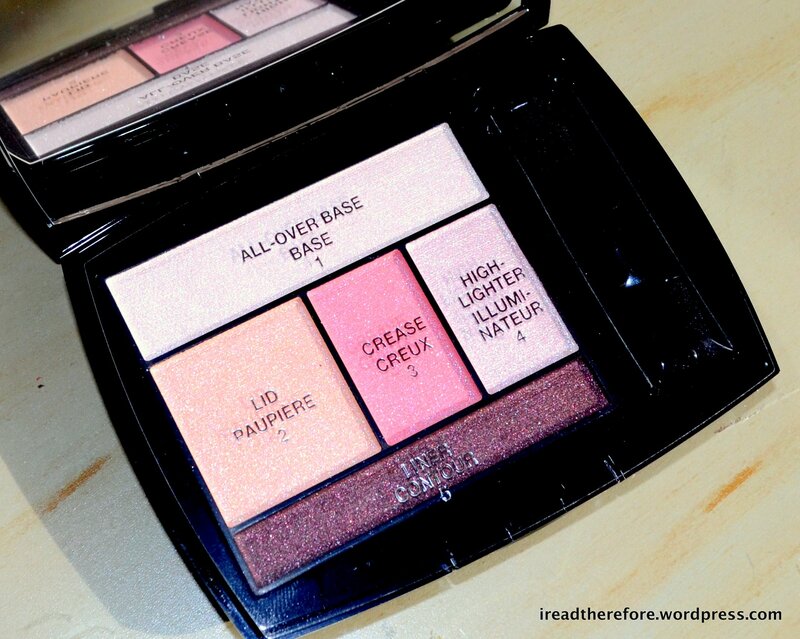 Hopefully I’ll get time to put up a look using this palette soon. To be honest, I haven’t felt inspired to use it yet because it’s so ‘spring’ and the weather in Perth is being very ‘autumn’ right now! Inspiration for the look: Katy Perry’s cover for the song California Gurls. I think of this look as ‘beachy glam’ – not sure how well it would hold up if you actually went for a swim but you sure would turn heads while sunbathing! I have to apologise for the photography – my camera died before I could get more than a couple of shots of the finished look. To get the look, keep reading! 1. 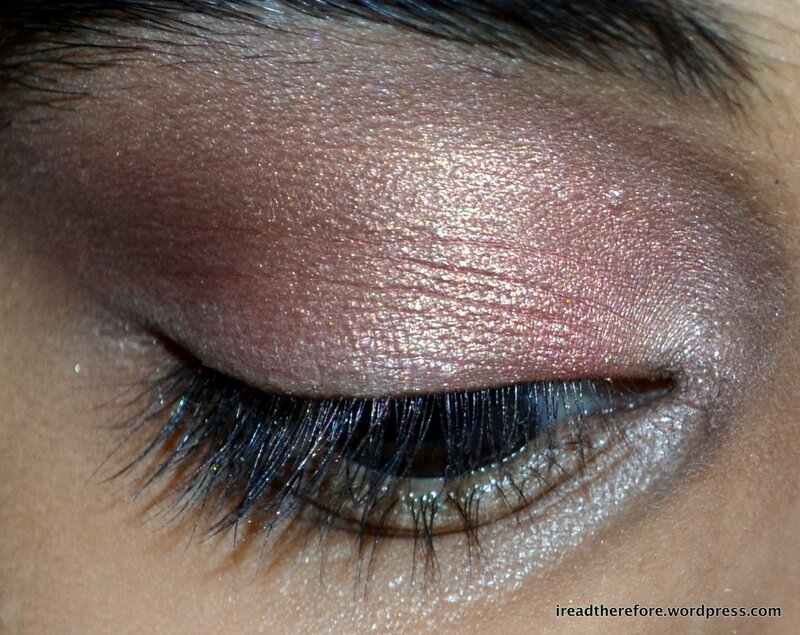 Use a flat shading brush to apply a peachy-gold pink colour to the eyelids. 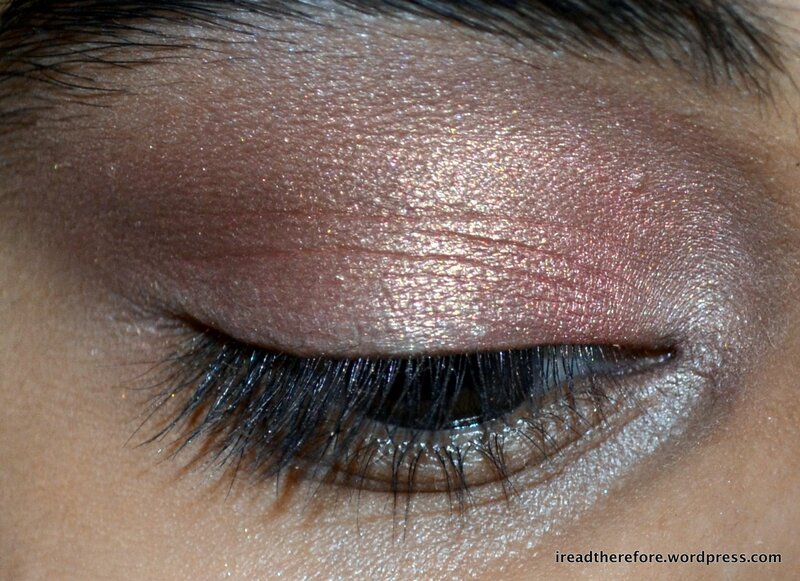 Take the colour slightly above the crease. 2. Apply a matte taupe colour with a blending brush to the crease to add definition to the eye. 3. Use a clean blending brush and gently brush in small circles around the edge of the colour to remove any harsh lines. 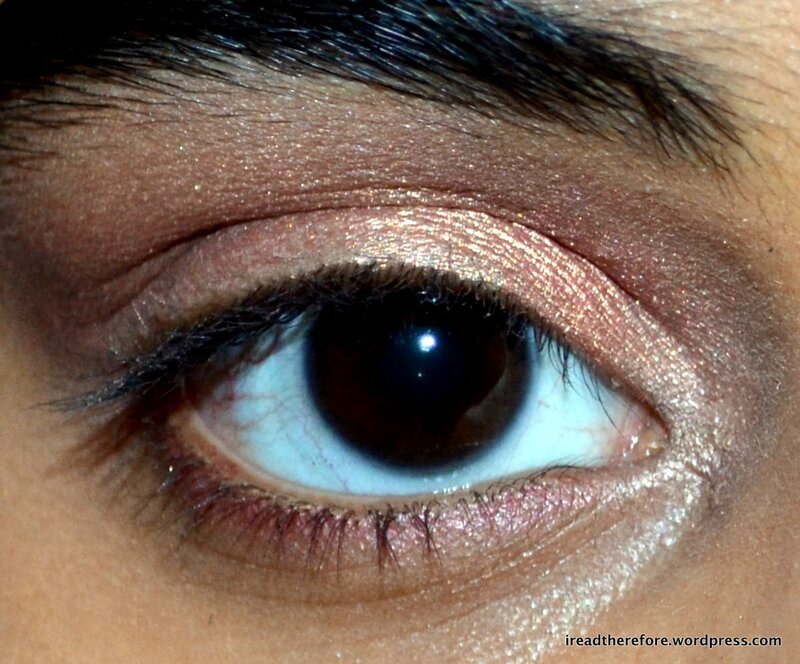 Use a frosty pale beige colour to highlight under the browbone and in the inner corner. 4. 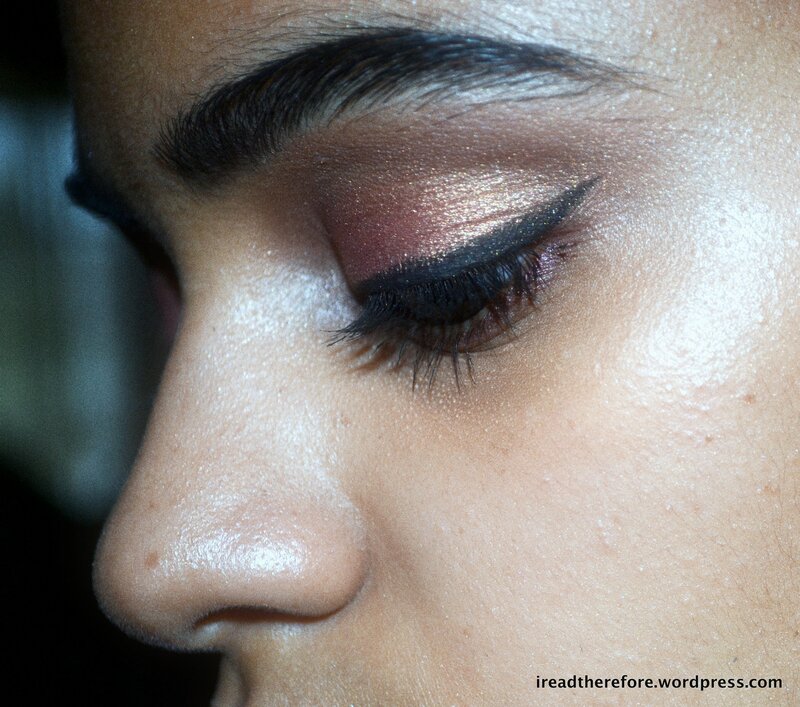 Use a plum colour to line the bottom lashline. 5. 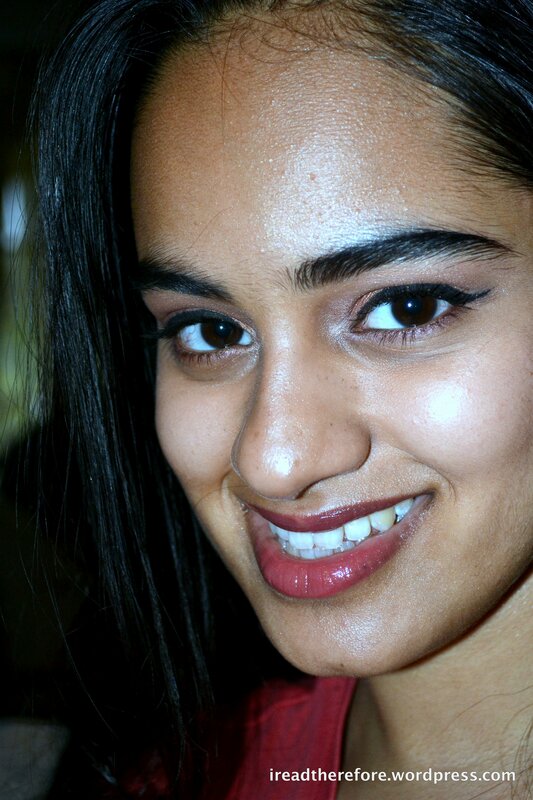 Line the upper lashline using either gel or liquid liner (I used gel liner and a pointed eyeliner brush). Create the outline of the wing before lining the rest of your eye. In order to get the dramatic effect of the look, bring the wing out until the apex is in line with the end of your eyebrow. Fill in the rest of your liner and the eyes are finished! Check to see that the shape of your eyeliner is symmetrical. This can be difficult as eyes themselves are not symmetrical! If you’re wearing this look for a night out, add some full volume false lashes to amp it up even more. I finished off this look with a coral pink blush similar to the one used in California Gurls. 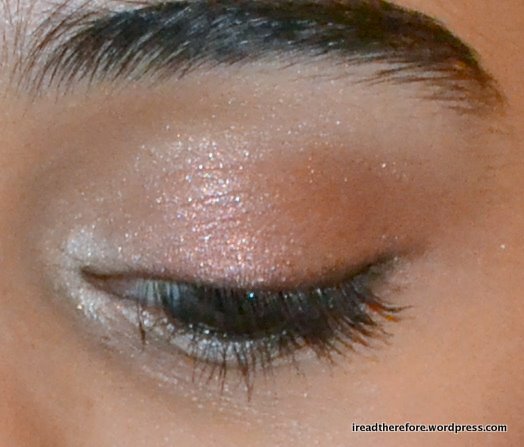 The blush I used was Stila’s Cozy from the dream in full palette which I reviewed earlier (click here to read!). 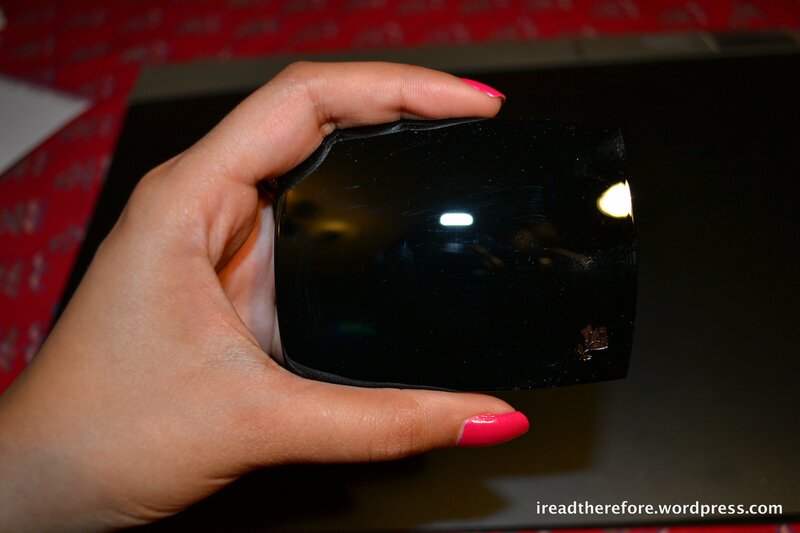 I was quite disappointed with the pigmentation of the blush. Despite repeated passes with the brush, it was difficult to get any colour payoff. 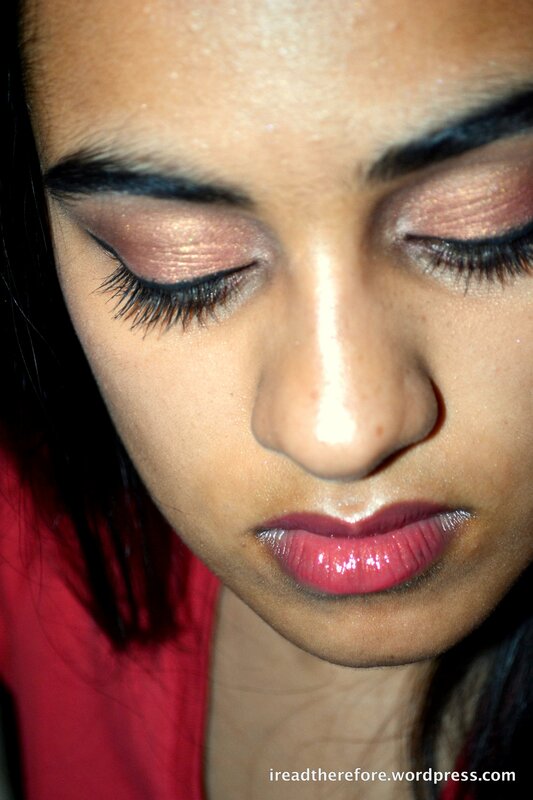 The bright colour on the pan translated into a very sheer hint of colour on my cheeks. Its almost time for Christmas! Have you finished your present shopping? 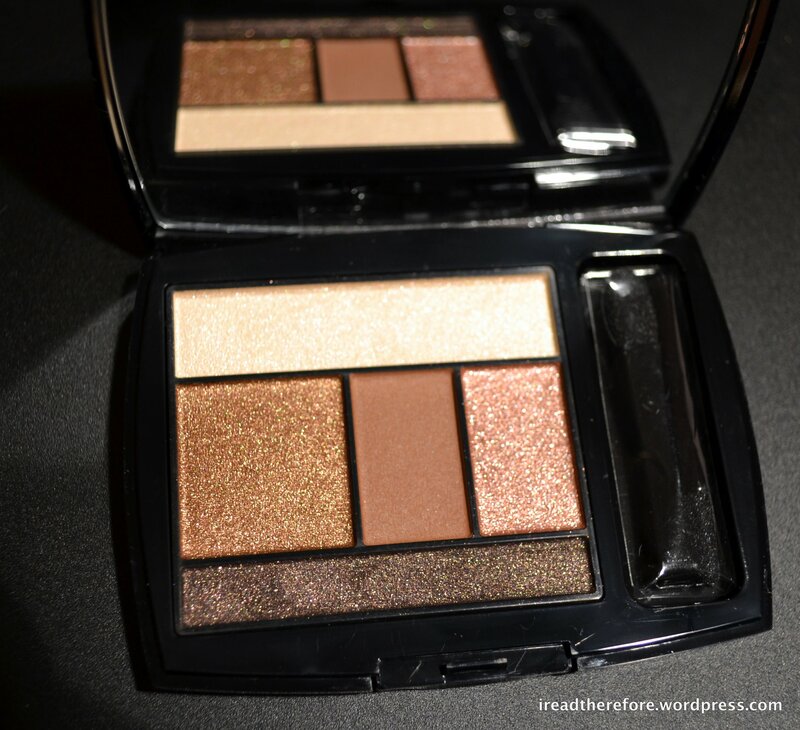 A package of goodies recently arrived from Sephora and one of the products I was most excited about was the Lancome Colour Design Palette in Kissed by Gold. This is a new range of palettes featuring 5 colours (the original ones had 4), including: base, lid, crease, highlight and liner colour. It was so difficult to choose just one to get – I kept fluctuating between about 4 different ones! Kissed by Gold seemed to be the most ‘sensible’ choice as the colours would work well for everyday and could be easily bumped up for a dramatic night look. How gorgeous are these colours? 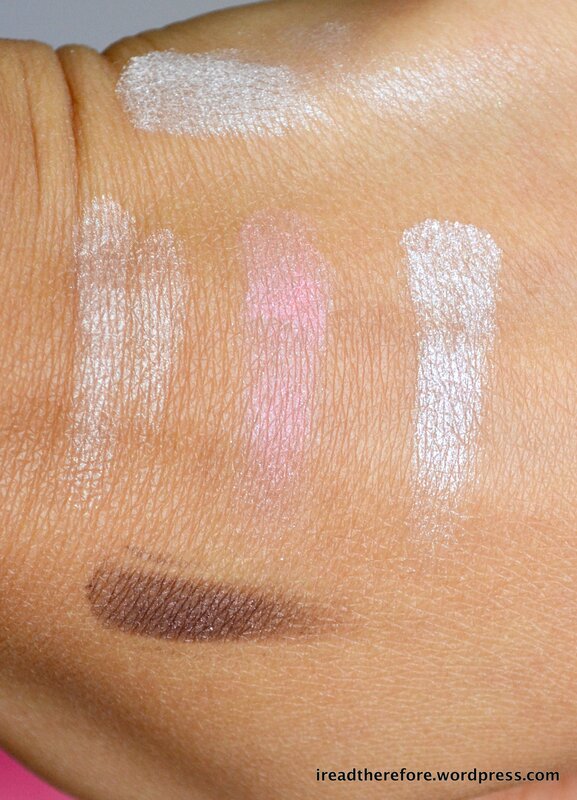 There is only one matte shade (the crease). 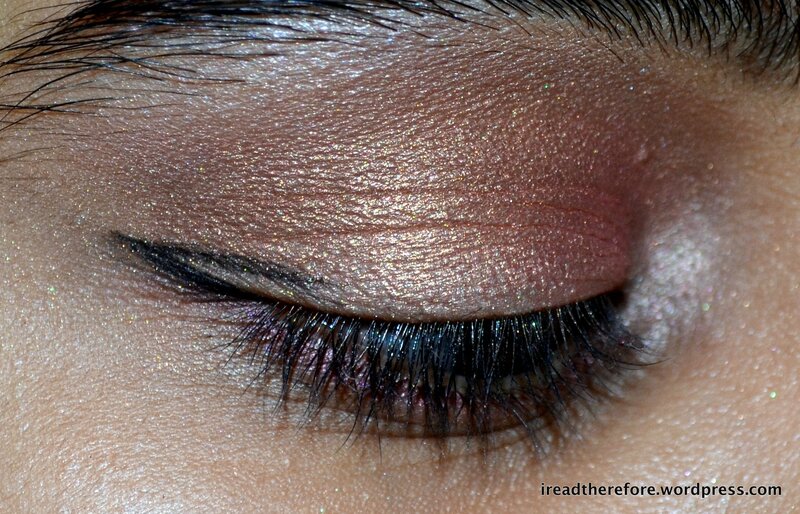 The colours were all buttery soft and highly pigmented, even without a base. Lancome colours usually wear very well on me despite my oily eyelids, so on those with normal/dry skin these should be stellar. L-R: All-over base, lid, crease, highlight, liner. The 2nd picture is blurred to show the glitteriness of the colours (unfortunately just an overspray). 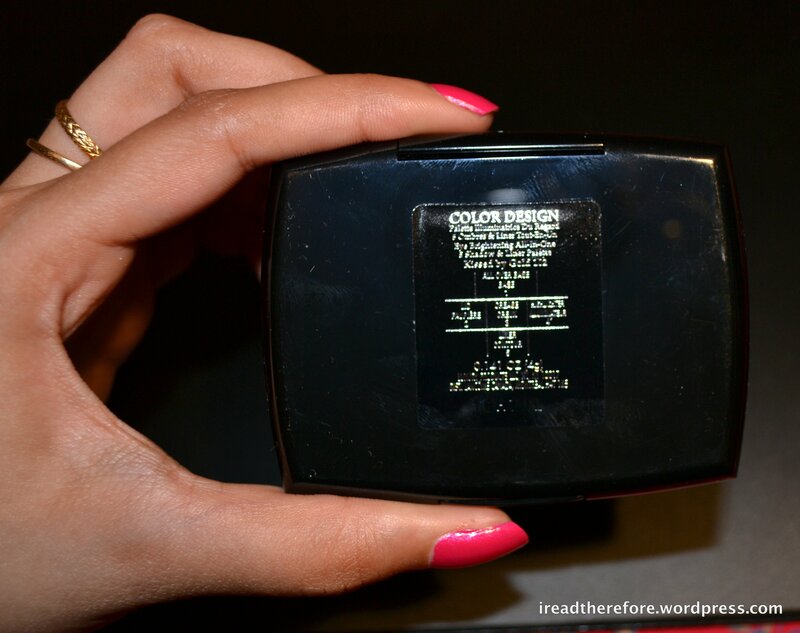 Although Lancome has given a guide as to how to use the colours – I wouldn’t recommend following it (why would you put a peachy brown colour as your highlight?). 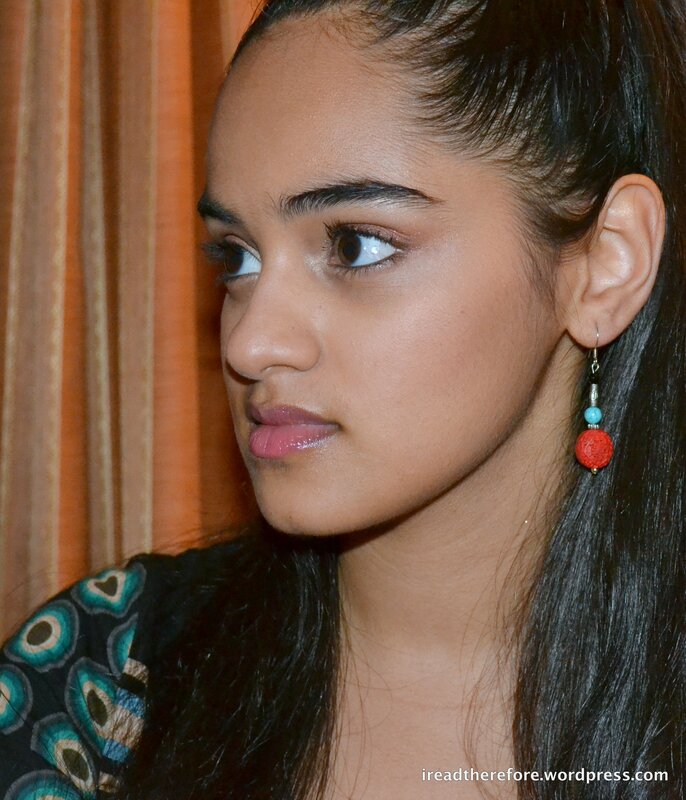 The colours are definitely versatile enough to produce tons of different looks. 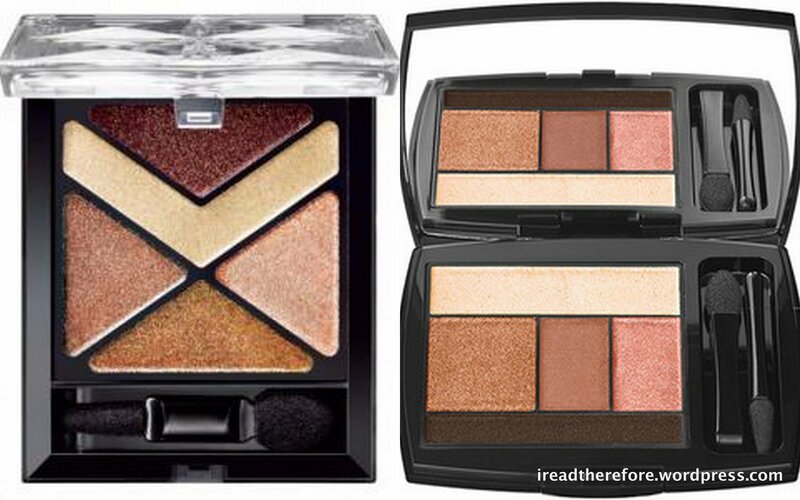 Unfortunately, these palettes haven’t been launched in Australia yet (whyyyyy!?) so you can’t run down to Myer to check them out, but if you do have access to them I highly recommend giving them a look. They are pricey (USD 48.00) but they are a good investment for a busy girl! Apart from the Kissed by Gold palette, I’m wearing Revlon Colourstay Liner in Black, Tarte Amazonian Clay blush in Exposed, Giorgio Armani Eyes to Kill mascara, MAC Ricepaper eyeshadow and The Body Shop lipstick in Ginger Rose. 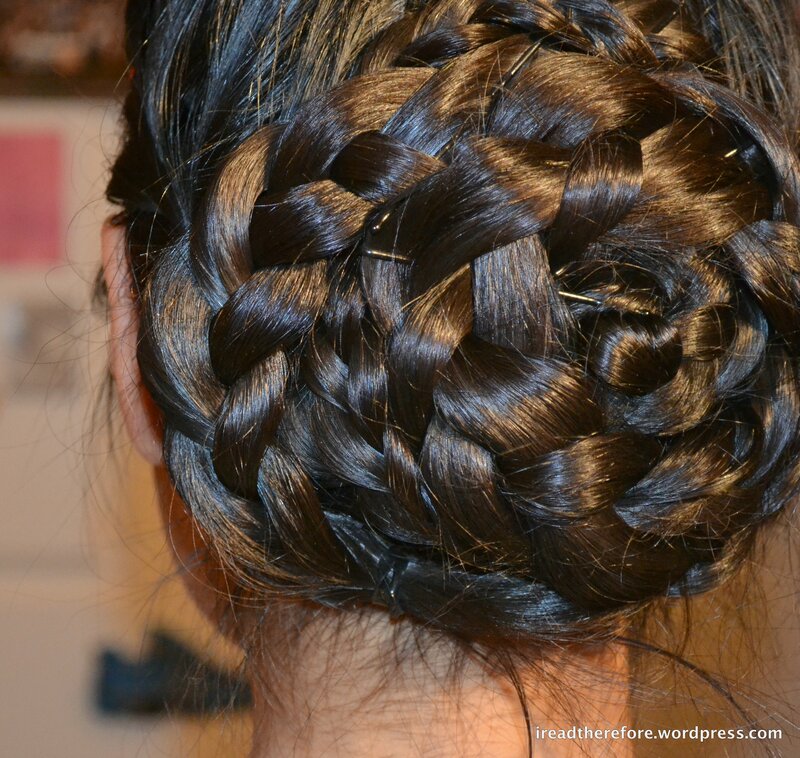 It was actually very easy – just three braids (two french plaits and one normal) that were coiled and pinned around the nape of the neck, and then secured with lots of pins and a veritable tempest of hair spray. 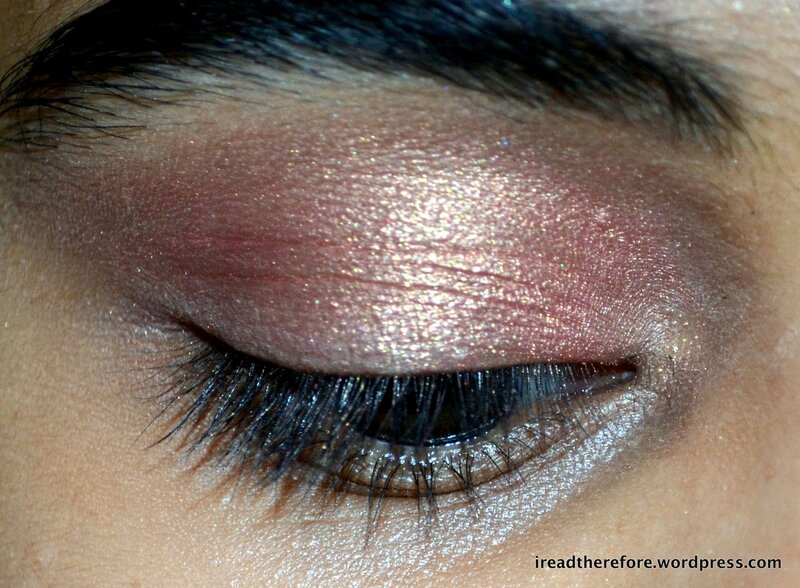 I used the Lancome Colour Design Eye Quad in Chic and MAC’s Romp (just to darken the crease). The other products used were Urban Decay’s 24/7 eyeliner in Zero (upper lashline), Stila Smudgestick in Stingray (waterline), and Maybelline Full N’ Soft mascara. 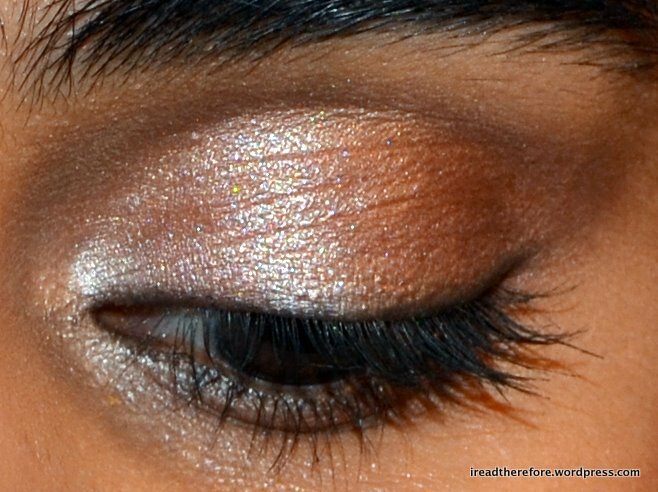 This was a really quick look – orangey tones can look harsh so use them sparingly and try not to bring them above the crease. I have some great DIY goodies coming up to show you! Thanks so much for reading! 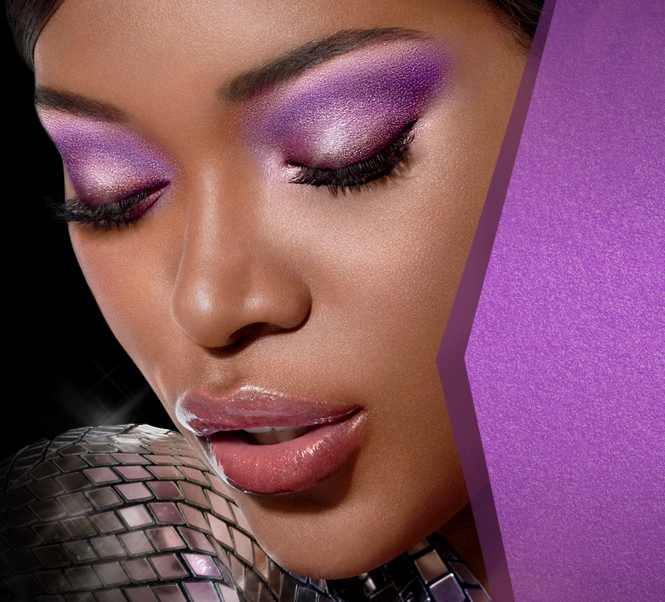 Maybelline has finally launched their full Eye Studio line in Australia! The collection is permanent and features gel and pencil liners, and eyeshadow sets and singles. The reason I’m excited about this is because the collection supposedly has many dupes for higher end products. The Eye Studio Hyper Diamonds set is meant to be a dupe of Lancome’s Color Design All-In-One eyeshadow palettes (sadly also not available in Australia yet). 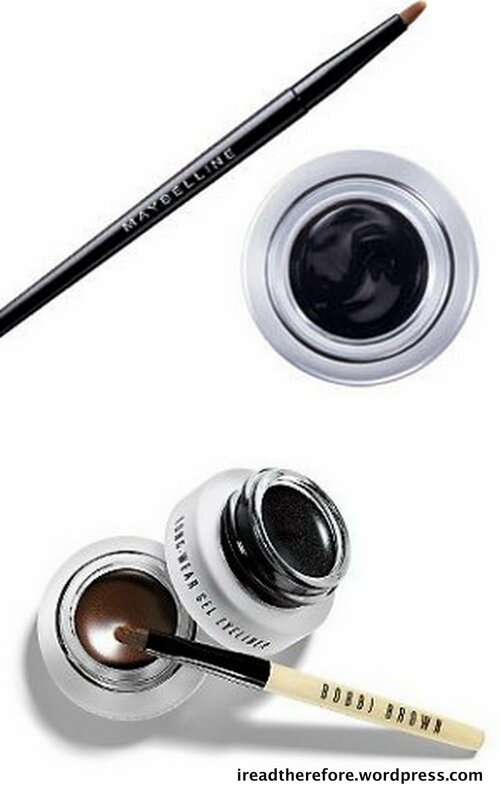 The Eye Studio Lasting Drama eyeliner is meant to be a dupe of Bobbi Brown’s iconic Gel Eyeliner. Now, it would have to be absolutely stellar to actually live up to this claim, but given the $40 price difference, you might be willing to make a few compromises. This is a great idea if you are still new to using gel eyeliner and want some practice without worrying about how much product you might be wasting. It’s great when you can get great products at a great price! Look out for the display on your next visit to Priceline. Emma Watson’s highly anticipated collab with cosmetic giant Lâncome came out yesterday. It is a 1 min 45 sec advertisement for Lâncome’s new fragrance Trésor Midnight Rose, set in Paris and directed by the great Mario Testino. The storyline is a simple boy-meets-girl fare, and a chance meeting that blossoms into romance. Parts of the film are tinted purple to match the purple colour of the perfume bottle (which is shaped just like Trésor In Love). The new perfume contains notes of raspberry, pink pepper, jasmine, peony, rose, vanilla, cedar and musk. After watching it, I have to confess…I do not like it. The highly idealised storyline is fine – that is what’s expected from perfume ads (remember Nicole Kidman’s ad for Chanel No. 5?). What I dislike is Emma’s styling in the video. Her new pixie hairdo and dark red lips make her look 5 years older than her age. Her outfit coupled with that hair makes her look much too mannish, and that is just not what Lâncome is about! The French company has been a stalwart of femininity for decades and I think Emma’s look, while trendy, just misses the bullseye. The gamine look can be ultra-feminine of course! But unfortunately, Emma fails to pull it off with the same panache as Audrey Hepburn or Natalie Portman. I’m not crazy about her new look in general – I thought she really did look better with longer hair. Perhaps she’s just too young? We’ll have to wait and see. My favourite perfume ad is Lâncome’s Trésor In Love. It starred the absolutely stunning Elettra Rossellini Wiedemann (daughter of Isabella Rossellini), and is to me the epitome of elegance, romance, femininity and beauty that Lâncome represents. ETA on Trésor Midnight Rose hitting Australian shores is unknown, but this is one that fragrance lovers can add to their wish list for Christmas! Students often take their stress out on their lips – biting, chewing, rubbing, etc. Flaky lips become even more obvious when covered by lipstick. Keeping your lips smooth and supple is really easy, and it feels great! Once you’ve experienced soft, flake-free lips, you won’t want to go back! Mix 1 teaspoon of granulated sugar, 1 teaspoon of honey, and 1.5 teaspoons of olive oil in a small dish until they reach a paste-like consistency. Add more olive oil if the mixture is too dry. Then apply this paste to your lips (using a finger or an old clean toothbrush) and rub gently in a circular motion. Wipe off with a damp towel and apply lip balm to moisturise. For some extra antioxidant action, break open a gel capsule of Vitamin E and add it to your paste. Exfoliating up to three times a week will keep your lips in great condition. To get a natural, long lasting and flattering look for everyday, try filling in your lips with a lip liner that matches the natural pigmentation of your lips. Lip liner evens out your lip colour in the same way foundation evens out your face. It also lasts longer than lipstick, so it’s a great option for the busy student. After that, apply some high shine lipgloss with a touch of sparkle, and you’re good for the rest of the day! Cosmetics are expensive, whether you shop at Mecca Cosmetica or Priceline ($45 just for two lipglosses on my last trip there!). For the sake of my wallet, I have had to search for cheaper means to feed my addiction. This either means going online or occasionally buying duty free when I fly overseas. I also pick up make up in other countries the way people pick up souvenirs. 1. Go fantasy shopping. All this means is going to your local department store/make up store and trying out the oh-so-expensive make up you want to buy. Make sure you write down the brand, name and shade of the product you want. This is especially important for brands like Shu Uemura and Lancome, where shades are assigned numbers rather than names. 2. See the swatch. If you’re lusting after something, chances are that someone else has too and they’ve kindly posted a picture of it on the Internet. Usually typing your product name followed by the word ‘swatch’ into Google should be enough to get you some photos. If you want some high-quality photos plus reviews, then check out Temptalia (especially her extensive swatch gallery for comparisons with similar products), and KarlaSugar, who’s byline says it all – ‘The Next Best Thing To Going Shopping!’ Seeing swatches is especially useful when you’re considering buying a product that isn’t sold locally. 3. Read the reviews. Almost every cosmetic item in the world has been reviewed by someone. Some reviews are harder to find than others (depending on how local/obscure the product is). Many online sellers offer customer reviews, but I usually take these with a pinch of salt. 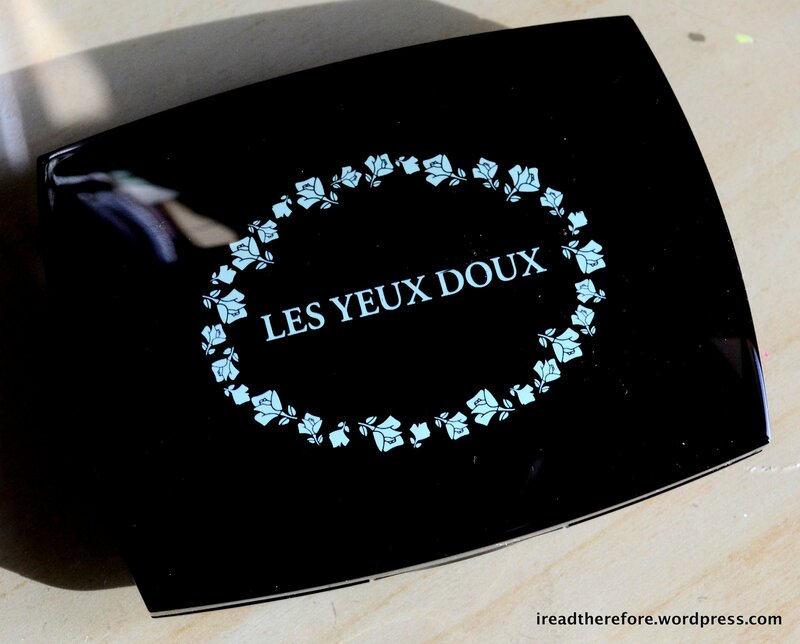 It’s rare to see a negative comment on the site that’s trying to sell the product. Try a third party site for a more accurate review. I highly recommend Makeup Alley and the Vogue Australia Forums. 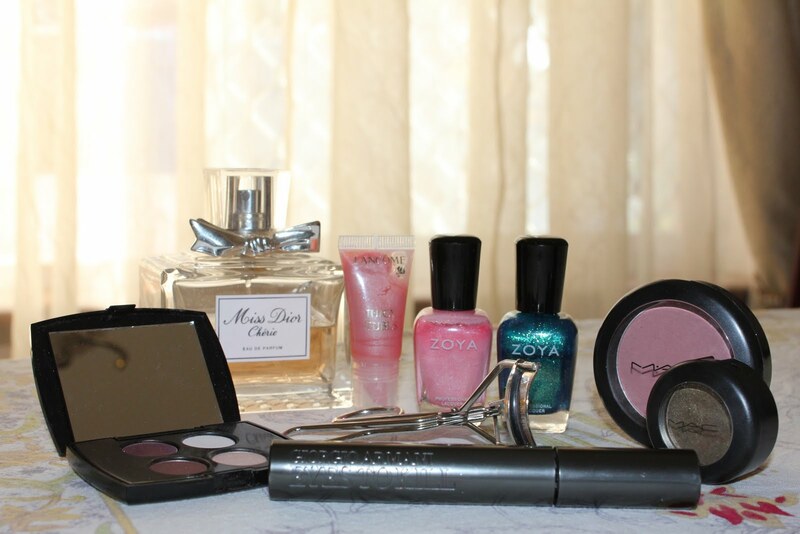 I hope these tips help some of you more hesitant make up junkies to take the online shopping plunge with confidence!